The second thesis defense co-supervised by 2iE and IEM (University of Montpellier). 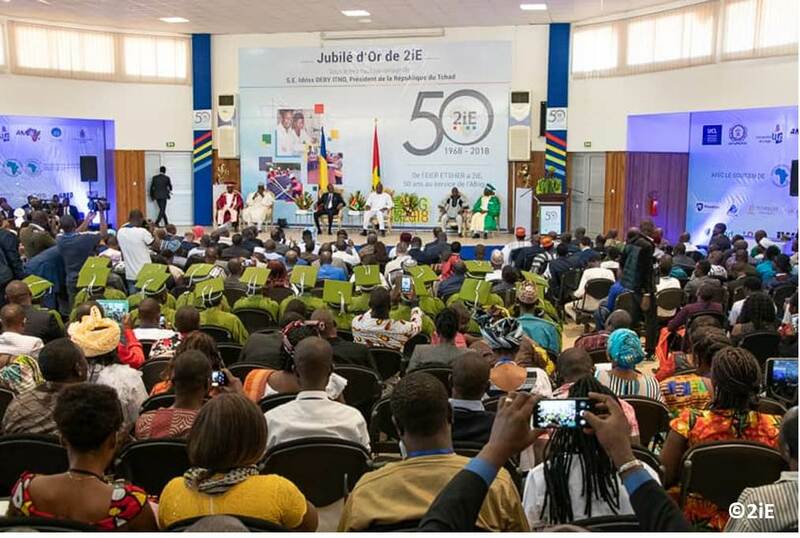 The 50 years anniversary of 2iE in the presence of the presidents of Burkina Faso and Chad as well as the Burkinabe minister of water and sanitation. Established in 1968 under the name EIER and ESTHER (Ecole Inter-Etats de l’Equipement Rural and Ecole Supérieure des Techniciens de l’Hydraulique et de l’Equipement Rural), then renamed the International Institute of Engineering of water and environment in 2006, 2iE celebrated in 2018 its 50 years. 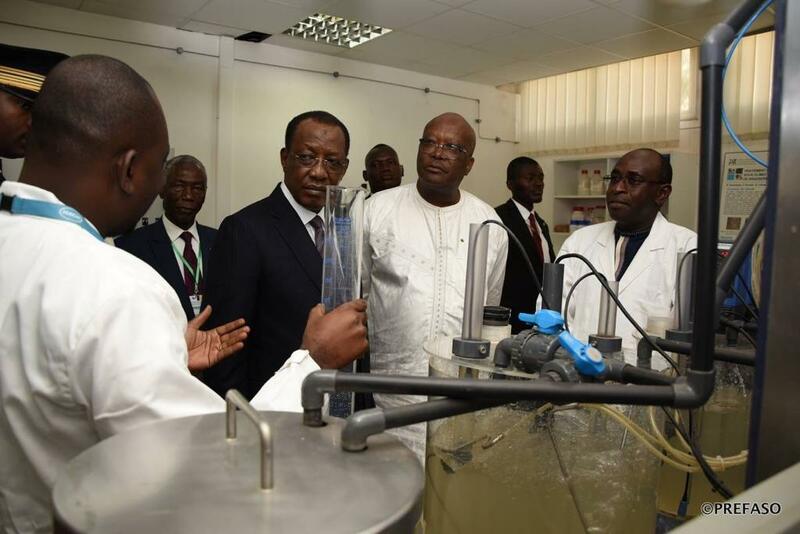 To mark this Golden Jubilee, a ceremony was organized on Friday, December 14, 2018 in the presence of the two Heads of State, Roch Kaboré of Burkina Faso and Idriss Déby Itno of Chad, as well as the Burkinabe Minister of water and sanitation Niouga Ambroise Ouedraogo. All expressed strong support for the efforts made to train quality engineers serving the African continent. The technological platform created within the framework of the INOV’EAU network project (AFD financing), was very noticed. 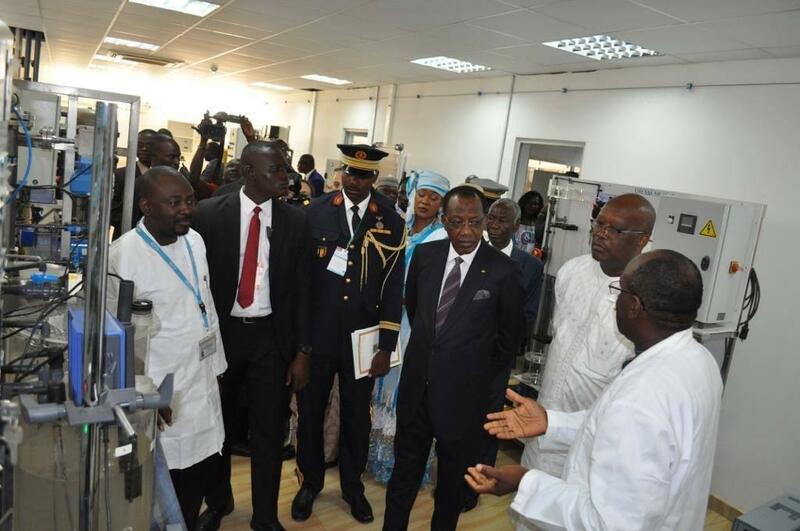 Yacouba Konaté (teacher-researcher from 2iE) and Boukary Sawadogo (young doctor) guided the official visit. Functional since 2014, the 2iE technology platform makes it possible to effectively support the training of Water and Sanitation Masters students and conduct applied research. 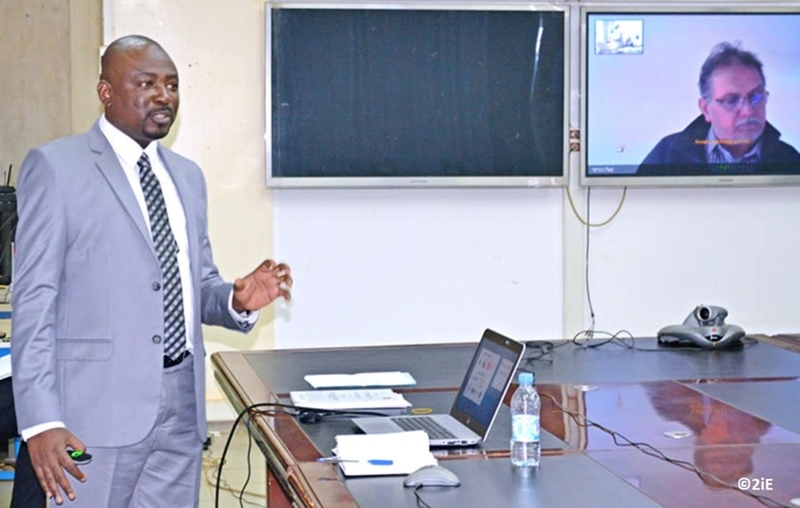 On 8 December 2018, Boukary Sawadogo presented the results of his 3-year work. His thesis was co-directed by Prof. Harouna Karambiri (2iE) and Prof. Marc Héran (IEM / UM). Dr. Geoffroy Lesage (IEM / UM), co-supervisor of this thesis, was one of the examiners. Congratulations to the young Dr Sawadogo, who received the congratulations of the jury with the honorable mention! 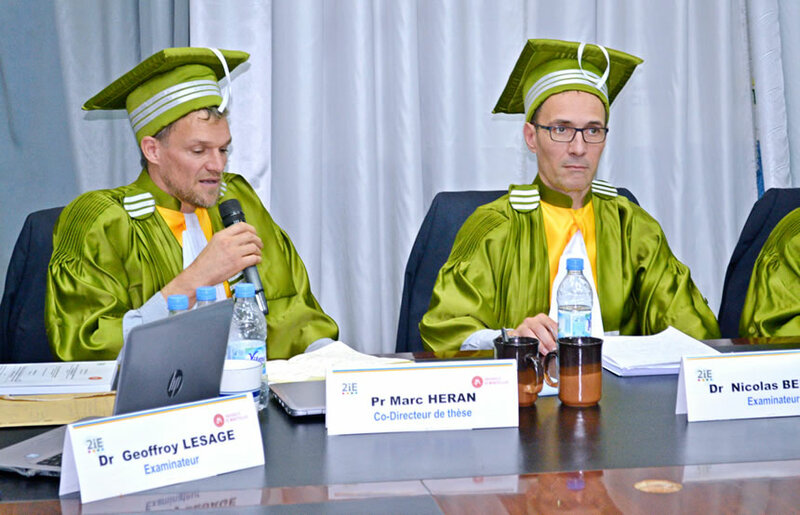 The first thesis in co-supervision 2iE and IEM was supported in January 2016 by Ghislain Ahoulé, on the subject “Comparative performance and technico-economic feasibility in Sahelian conditions of the treatment of drinking water contaminated with arsenic by membrane techniques “.